To celebrate the 40th year since their founding in 1979, Vance & Hines introduces a limited edition line of exhaust systems highlighted by special gold badging. This golden nameplate features the 40th anniversary logo, laser engraved and is sure to be a collectors item for years to come. Featured as part of the 40th anniversary line, Hi-Output Slip-ons make a statement for Milwaukee-Eight baggers, both in its bold, stepped appearance and its unparalleled deep roar. 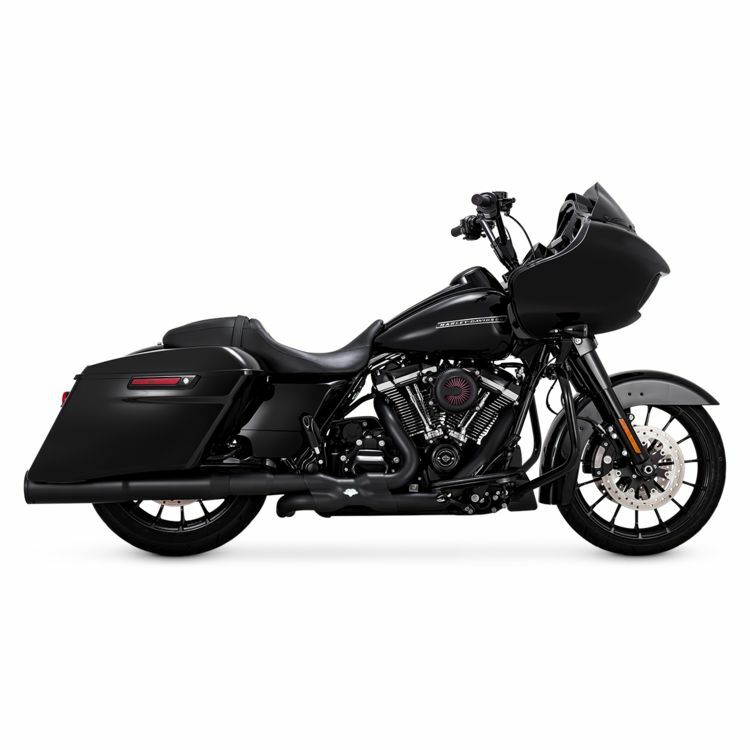 Vance & Hines tops the charts again with another innovative exhaust design, like no other. The Hi-Outputs are built specifically for motors in high horsepower applications (high compression, large displacement, high-lift or extended duration cams). The Vance & Hines Hi-Output Exhaust combines style with pure performance in a set of high-output pipes that are sure to turn heads.